Sequestration, that is. Despite recent efforts to sound the alarm on its effects in Hampton Roads and Virginia, including a letter from Gov. Bob McDonnell, I doubt Congress will do its job. Forget the blame game – both sides agreed to this mess because it wasn’t supposed to happen. And now I hear folks saying it ‘s all good, just let it go ahead and happen. Are you kidding me? Yes, there is a need for a serious look at spending. But this isn’t a serious look – this is using an axe when a scapel is more appropriate. I agree with this editorial: it’s time for the so-called “leadership” in Congress to step aside. What cuts? 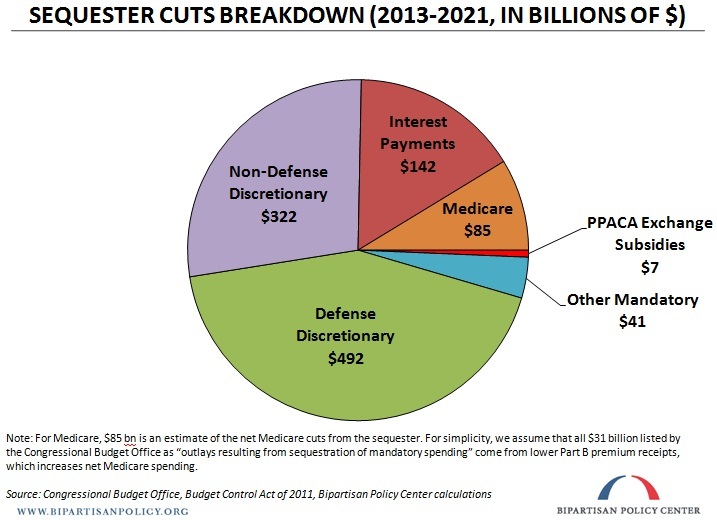 According to the CBO report, even with sequestration, we will be spending MORE every year, not less. work together to solve problems of this nation. That is why the Nu America is on its way. Just look around. Be a part of the CHANGE or get changed because it is all essential for this land to go FORWARD! Very true, time for all ofthem in DC to act as they were elected to act! Unfortunately, Raymond, that is exactly what they are doing. The Republicans elected Republicans to stop the Democratic agenda, and the Democrats elected Democrats to stop the Republican agenda. I had held out hope that pairing the sequester with the termination of the bush tax cuts would create a scenario where each side would have an easy time finding things to trade: one side gets tax reform, the other side gets spending reform. The problem is that the two sides couldn’t come together (I personally feel like President Obama gave up a lot more on the revenue side of the equation than he initially asked for than the Republican Congressional leadership was willing to give up when it came to searching for a comprehensive plan — it was, after all, Speaker Boehner who walked away from the negotiating table, not the other way around). And once the two issues were divorced, the sequester became almost inevitable. The only way to get it off the table was to get both parties to agree to an alternative, and there wasn’t an alternative that was more appealing to one side that wasn’t also simultaneously less appealing to the other. As an abstract concept, it’s a fascinating study of the applications of game theory to the legislative process. I’d love the fact that we get to sit around and talk about what we’ve learned from it if it weren’t going to simultaneously have some catastrophic consequences for the two regions of this state that drive the Commonwealth’s economic engine.